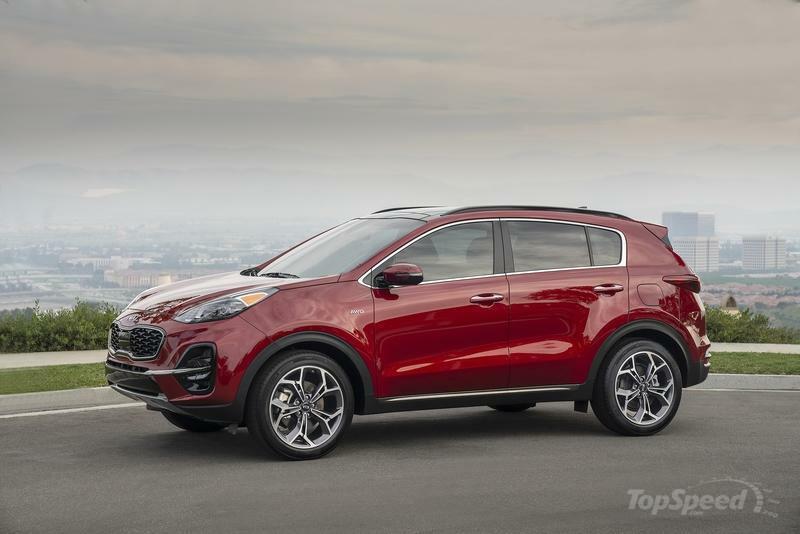 The Kia SP Signature is Kia’s second preview to its upcoming compact crossover SUV. While still very close in terms of styling to the SP Concept launched last year. The SP Signature displays a lot of production-ready cues and details although this isn’t yet how the car will look when it rolls out of the Kia plant in India where the new model - which will bear an unknown name as of yet - will be assembled. In the front, the SP Signature features a U-shaped grille (Kia wants you to call it the ’Tiger Nose’) with polished surrounds and inboard-mounted day-time running lights that effectively act as a continuation for the strip of day-time LEDs within the actual light clusters on either side of the front fascia. 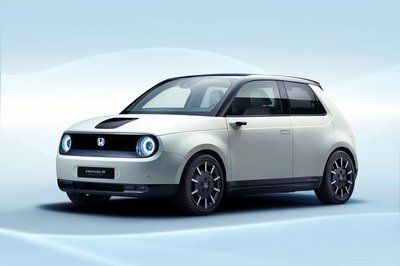 The headlights have a bit of a weird shape, with a more rectangular lower section that ends in a character line and a much narrower top section that extends far beyond both inboard and outboard around the corners of the nose. The top part of the headlight is designed to blend with the grille and give a sense of continuity of the day-time running lights. Below the grille, there’s a blacked out recessed area like a pocket within the center panel of the front fascia. Incorporated in the lower bumper is a central mesh grille and two adjacent housings for what could be the (vertically mounted) fog lights on some trim levels. 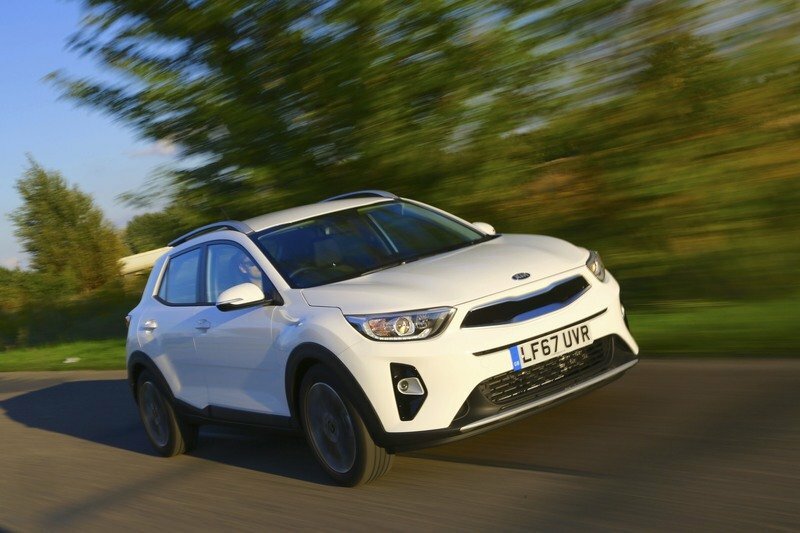 A polished mudguard trim piece is positioned directly below the central grille to give the car a more outdoorsy look although, as we know, small-size crossovers have limited abilities in the realm of off-road. The profile of the SP Signature is quite basic. You’ve got your blackened-out pillars, the rear quarter side window that narrows down towards the back and, the thing I find interesting, the strip of black paint that continues the theme of the black wheel arch covers across the rocker panels. The exterior rear-view mirrors feature a polished underside and a black cover. In the back, there's nothing particularly special. To be honest, if you take off the badges, you’d have a hard time telling this Kia apart from other similar compact crossovers. In fact, I think there’s a Ford out there that sports very similar rear lights. 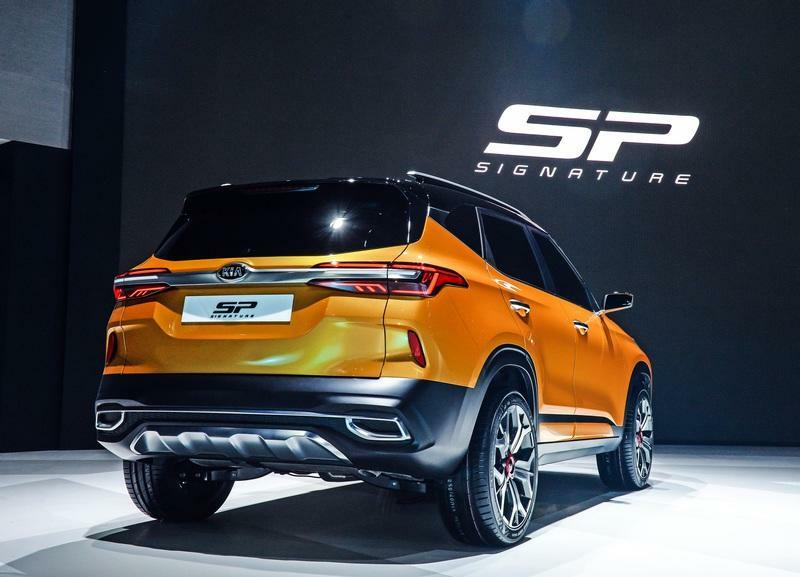 The SP Prestige’s taillights wrap around the rear corners of the vehicle and are pierced by a thick polished bar that’s also the place for the Kia badge, which sits appropriately in the middle. Below the bar and the LED taillights, there’s the recessed area for the number plate and, below that, the plasticky lower bumper with simulated exhaust tips (the rear exhaust pipe sticks out on the right-hand side), some fake mesh grilles, and another silver ’rough-and-ready’-looking cover. That cover looks as if it would protect the underbelly, but it won’t as it’s more styled to look like a diffuser. The extra indicators are placed in two moldings that extend from the sides of the rear fascia. Overall, the new SP Signature is by no means a departure from the original SP Concept, that is if you ignore the five-spoke wheels which are far less outlandish than the ones seen on the first prototype. This is good news if you’re a fan of the design as, most likely, the model will look almost identical when it will be put into series production. If you are looking for the differences, you can start in the front by glancing at the hood as it’s different on the SP Signature to comply with safety regulations. The position of the LEDs inside the headlights and the shape of the strip on the top is different as are the wheels. On the side, what’s new on the SP Signature are the roof rails, traditional door handles (as opposed to the flush ones seen before), and a fuel filler cap. In the back, the shape of the taillights is different on the SP SIgnature (they are narrower), and more brushed trim pieces appeared (as well as the indicators). Also, the blacked-out pillars are an element you won’t find on the SP from 2018 that features polished window frames. We didn’t get to see the interior of the SP Signature so the only thing we can do is look at the SP Concept and do some guesswork from there. For starters, the SP Concept features two digital screens: one behind the wheel for the gauge cluster and one in the middle that shows you everything the infotainment system has to offer. You’ll also notice the blend of leathers (on the top bit and the lower bit of the dash as well as the interior door panels and the seats, plus the roof lining) as seen on the Sportage. You can expect a clean center console, even cleaner than on the Sportage and a much more executive feeling inside (from the materials used to the equipment) than, say, in a Kia Stonic. Autocar India asked Manohar Bhat, Chief of Marketing and Sales at Kia Motors India about the cabin of the new crossover and his response was both evasive and telling. “You ain’t seen nothing yet!” The same outlet talks about the possibility for Kia to include some cheeky things inside the SUV that don’t exist inside any of its peers. According to Autocar India, "an advanced touchscreen with voice recognition and telematics system [is to be expected on the top-of-the-line model]." What is more, "onboard Wi-Fi, a 360-degree camera, and wireless charging could happen." The digital screen for the dials might make it into production but don’t expect to see it on the lower-end trim levels and the automatic versions will get paddles behind the wheel. We know for a fact that the crossover will seat five people and this isn’t about to change. However, beyond that, just about everything is up for debate until we get to see the finished product (maybe) at the New York Auto Show. 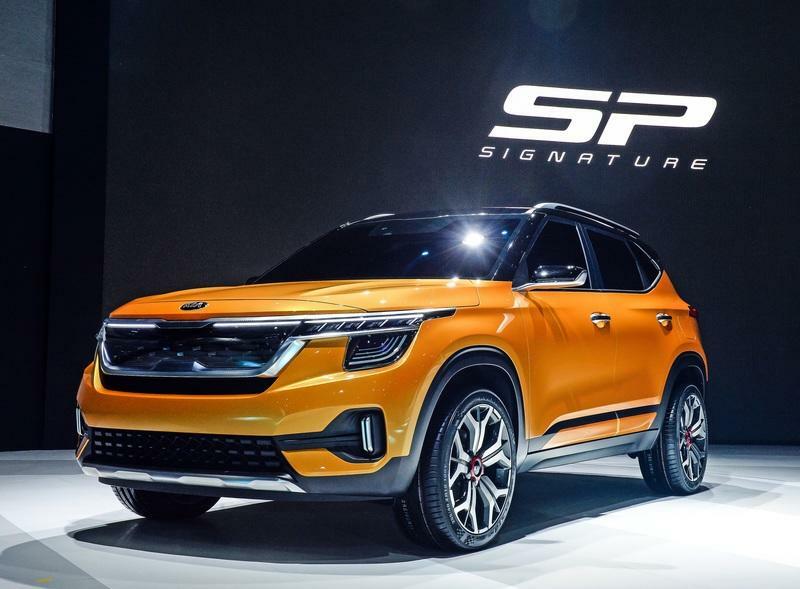 Kia was only kind enough to say this: "[the] SP Concept hints at the company’s plans to introduce a new small SUV for its global markets. Bold and stylish, the Signature combines sophisticated beauty, breakthrough technology, and high functionality in a smart, compact package." 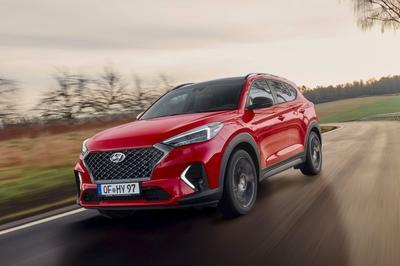 Kia has been strict when it comes to letting out details about the SP Crossover in general and this means we don’t know too much about the drivetrain options either. 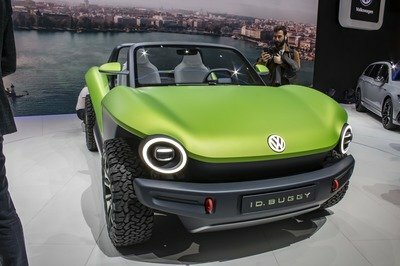 However, most sources point out to a pair of 1.5-liter units as the only ones available when the model will be available in showrooms next year. Autocar India reports that the two engines, one fueled by gas and another by diesel, will comply with Euro 6-level emission standards. The publication states, though, that they will be rolled out as Euro 4-compliant at first with the possibility to make them Euro 6-compliant further down the road although the more efficient engines will come at a premium. 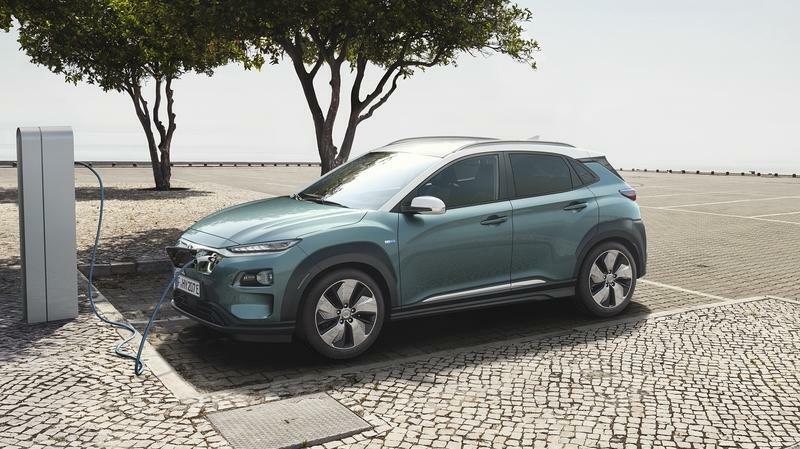 Also more expensive will be the plug-in hybrid variant and, obviously, opting for an automatic over a manual will add to the final cost that, in India, is said to hover around $14,360 and $23,041. 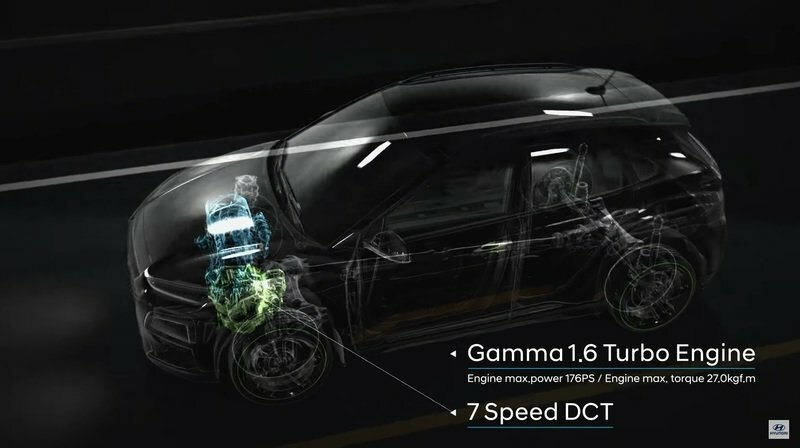 Carwale says that "we can expect a 138 horsepower, 1.4-liter T-GDI turbocharged gas-powered unit, as well as a naturally aspirated, 2.0-liter engine delivering 147 horsepower." Meanwhile, Autocar India pointed out that there’s a "sportier variant of the SP SUV, with a 140 horsepower, 1.4-liter turbo-gas engine paired to a seven-speed dual-clutch automatic gearbox with paddle shifters," on the cards too. Here’s where we start comparing the rumors and try to disseminate fact from fiction. In my mind, a sportier version cannot have just 140 ponies since, according to Carwale, the standard 1.4-liter engines will put out 138 horsepower while the 2.0-liter already offers seven horsepower more. 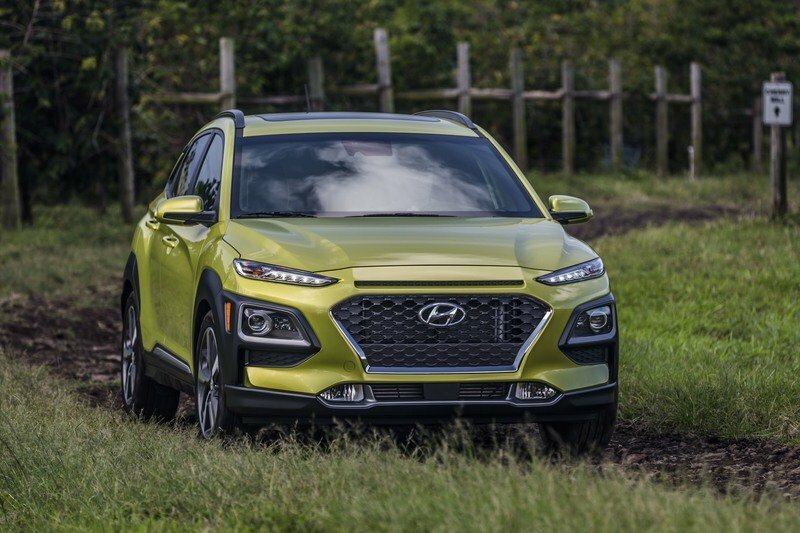 What's clear is that you'll probably get similar power outputs as in the Hyundai Kona. The Kona comes with a choice of four ICEs beside the two electric versions. There’s a diminutive 1.0-liter economy engine that won’t have an equivalent in Kia’s yard, and then there are the two 1.6-liter mills (one diesel one gas) and the 2.0-liter gas engine. The 1.6-liter options offer 175 horsepower at 5,500 rpm and 195 pound-feet of torque between 1,500 and 4,500 rpm (in the case of the Gamma Turbo gas engine) and, respectively, 134 horsepower at 4000 rpm and 221 pound-feet of torque available between 1,750 and 2,500 rpm in the case of the U2 turbocharged diesel. The gas pushes the Kona from naught to 62 mph in 7.9 seconds while the top speed is 127 mph. The fully-electric version is quicker to 62 mph (7.6 seconds) but slower at the top. 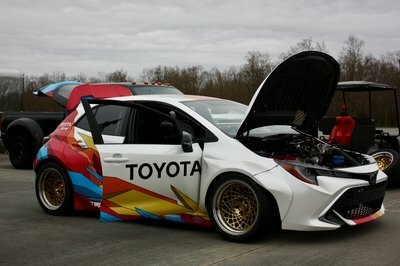 Also, interestingly, the naturally aspirated 2.0-liter four pot offers just 147 horsepower and 133 pound-feet of torque. A Sporty Kia SP Crossover will have to give out more than 140 horsepower - at least 35 horsepower more to be precise. Kia’s upcoming compact (or subcompact if you will) crossover SUV might become an interesting vehicle for younger buyers in the U.S. if it will arrive with a lower price point than the Hyundai Kona that ranges between $19,900 and over $28,000. It’s clear we won’t get it for under $15,000 which is the suggested base price in India, where the car will be made, but if it will start at about $17,000 it could be very attractive indeed. The top trim levels could also find customers if Kia delivers what the rumor mill is saying it will deliver: a clever infotainment system, full-on connectivity, two digital screens inside plus a heads-up display, ventilated seats, in-car WiFi, and more. It’s clear, in any case, that if the new Kia crossover (do you like ’Tusker?’ I, personally, don’t so I’ve tried to not use this name throughout the length of this piece) is to make it, it will make it due to its price versus equipment ratio. In other words, if it will be poorly equipped and overpriced, people won’t buy it because it’s too bland-looking to be an interesting buy from an aesthetic standpoint. But I know Kia knows this too and it definitely wants to go over and beyond in the cabin, and this means we might be in for a surprise come the New York Auto Show where Kia is slated to unveil a world premiere which might be this one.